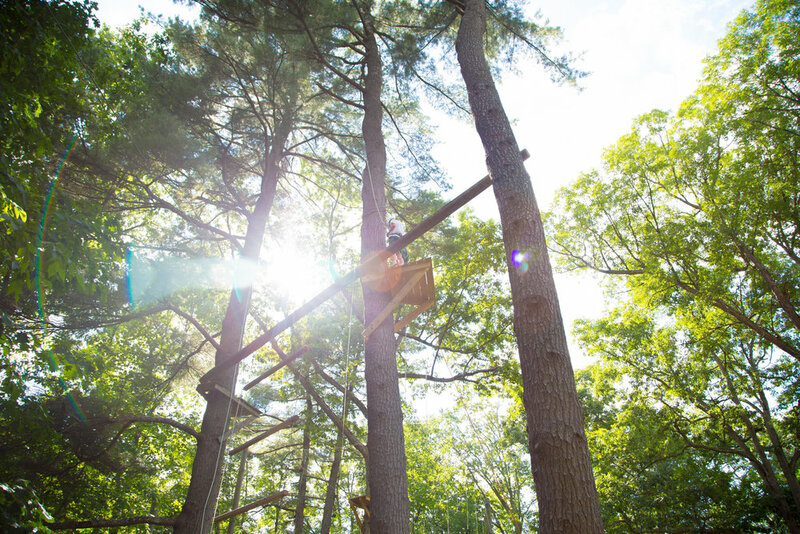 The High and low ropes courses feature many exhilarating elements such as the Trapeze, Cargo Climb, Giants Ladder, Space Loops, Balance Beam, Nitro Swing and Spiders Web. It takes teamwork to get everyone over “the wall”, which is one of the many team building challenges we offer. We have four specialized staff members who are certified in safety and are trained to facilitate all ropes courses and group activities.